Imagine waking up every day exhausted, in severe pain, like the worst case of the flu you ever had. Imagine that you can’t do laundry or carry groceries on your own because your body physically can’t handle it. 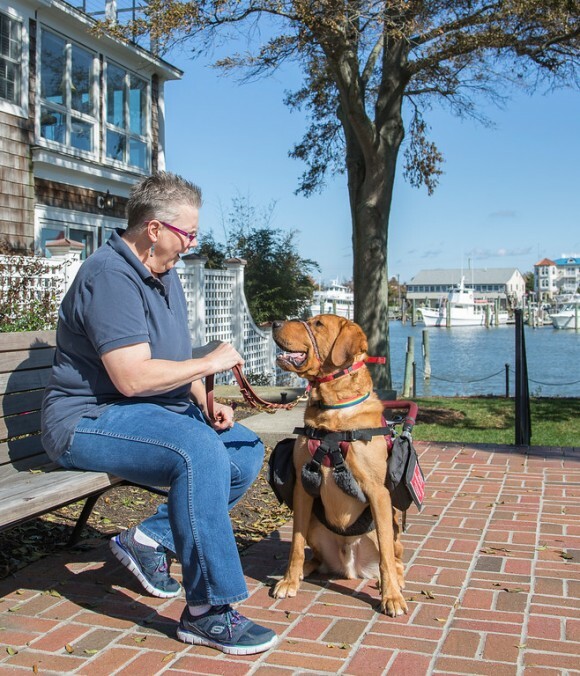 Every day people with disabilities are living more independently, more safely, and with greater joy thanks to their partnership with service dogs from Canine Partners for Life. Together, these teams are accomplishing their greatest dreams and goals. CPL has partnered hundreds of teams nationwide, teams like Carla and Uncle Ed. Together for only a year, these two are taking each day by storm. Thanks to Uncle Ed, Carla is living independently, volunteering at a community resource center where she helps the homeless with a food pantry and shelter, and they are working toward Carla’s dream to open a peer-run center for mental health. Carla couldn’t do all this alone. She relies on Uncle Ed as she battles chronic fatigue, chronic pain, and depression. He helps her around the house with tasks like tugging the laundry out of the washer, picking up items she drops (like keys), and carrying groceries in from the car—tasks Carla’s body will not physically allow her to do on her own. He provides support and balance as Carla stands from a chair and walks down the hallway. His assistance keeps Carla going and helps reduce her fatigue and mitigate her pain. Carla is just one of the many individuals who have returned to CPL for a successor dog, an important testament to the quality of our dogs and services. Her first partner, Bonz, turned her life around, and when he retired, it was imperative that Carla continue the forward progress in her life that they had made together.